If you would like to strengthen your pharmacovigilance knowledge then this Russian language course will help you comply with global regulatory requirements, which state that you must have a good understanding of the principles and guidelines within pharmacovigilance. The Pharmacovigilance Global Regulatory Requirements course is perfect for you if you are involved in all areas of drug safety, pharmacovigilance, regulatory and quality compliance and is a great addition to your knowledge in pharmacovigilance when combined with the Overview of Pharmacovigilance & Drug Safety course. The Russian language Pharmacovigilance Global Regulatory Requirements course covers the key components of US and EU legislation, US and EU safety reporting regulations, including publications by the Council for International Organizations of Medical Sciences (CIOMS) and guidelines from the International Conference on Harmonisation (ICH). The course delivers an explanation to the global regulatory requirements of pharmacovigilance and thoroughly explains the regulatory issues across global government agencies that improve safety across international markets. Keeping products on the market without interruption becomes more essential with the reduced pipeline of drugs in development. Successful navigation of drug safety and pharmacovigilance are keys to product longevity, consumer confidence and regulatory compliance. This module will provide you with a strong foundation of knowledge of the global legislation attributed with pharmacovigilance and drug safety. CPD Points - Gain Continuing Professional Development (CPD) Points, accredited by The Faculty of Pharmaceutical Medicine of the Royal College of Physicians of the United Kingdom. These can be used to count towards the distance learning element of any scheme that comes under the umbrella of The Academy of Medical Royal Colleges or any other scheme for which there is mutual recognition. Certification - Receive a personal certificate to show your subject knowledge on course completion. Affordable - You get excellent value through our cost-effective prices. We can also offer you group discounts on larger purchases. 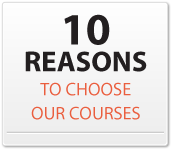 Flexibility - The course saves you time through the convenience of online availability. This lets you complete the interactive course at your own comfort. Keep Up to Date - You will stay up to date with any legislative changes in pharmacovigilance as our training courses are constantly monitored, reviewed and updated. 4.13 Что подразумевается под Европой? 8.5 Модули стандарта надлежащей практики фармаконадзора (GVP), выпущенные по состоянию на июль 2013 г. 8.41 Почему важно знать о новых законах ЕС по фармаконадзору?